Yes, a well-earned shutout for him. So many people here tried to convince me Mike Smith was trash. He played better than any goalie so far in the playoffs, imo. It might not last, but last night he was king. It won't last. He's a career .912 sv% and he is getting older. Last night was a good night and that could hold up for a little while but he will regress. Fun Calgary/Colorado game. A shutout, four goals and pushing and shoving. Playoff hockey is awesome. ill go out on a stable limb here and say there won’t be one (or more) offer sheet the entire off season. I meant make a trade offer for Kapanen's rights. Who do we dislike more, Robin Lehner for the islanders or Oreilly for the blues? OReilly, Lehner was haunted by demons... amazing what happen when you take away alcohol and address the demons. But a 5 year 11.5 Million AAV, would ***** their cap royally. No GM will offer sheet anyone unfortunately. Now Marner... Marner I would trade the 7th overall pick for. Now Marner... Marner I would trade the 7th round pick for. Do they even do 7 rounds anymore? ....and even at that, 7th overall +++ for Marner (assume you're joking if you're thinking a straight up trade). If I'm TO, I'm looking for 7th plus something like Reinhart. Not to mention Lehner repeated bad-mouthed the Sabres, Buffalo, and the fans. Still, I'm pulling for the Isles over the Pens. 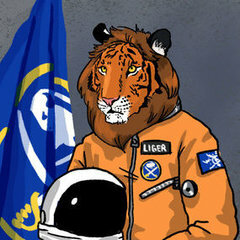 Didn't you just admonish Liger in the coach thread for anecdotes? And you come here with this after 1 playoff game? Mike Smith isn't trash, he's just gloriously mediocre. I would even dare to say, a shade under mediocre. I can't decide which game to focus on, Islanders or Tampa. You have to think Tampa is going to come out like nothing we've seen in hockey for a long time...right? I also would love to seen Lehner get lit up, but I dislike the Penguins. Because of the time difference you should be able to catch most of both games!